The biggest advantage that digital radios have over analog is the sound quality and clarity. As you travel toward the edge of your range area or in a building, analog becomes choppy, overrun with static, and is hard to understand. This makes communication in those fringe areas quite difficult. Digital radios on the other hand, remains clear until it gets completely out of range. Once it is out of range, the signal simply drops, much like a cell phone. Clear audio leads to clear communication and helps avoid mistakes and confusion, as well as improving safety on the job. Clear communication saves time, money and could save lives in an emergency situations. If you are having issues with coverage, digital radios might be a consideration. Digital systems have the capacity to handle more users. If you find that your system gets bogged down due to congestion, a digital system will solve this issue. Those with large systems are particularly vulnerable to this type of problem. Consider the size of your current system and your needs regarding the number of users. If you just have a few individuals using your system, staying with analog is probably sufficient at this time. If your current analog radios are more than 10 years old, it might be time to start to consider upgrading to digital radios. In recent years, the FCC in the USA has mandated that all radio technologies operate on a narrow banding frequency such as digital two way radios. In Canada, Industry Canada has not yet mandated such a change, but this may happen in the future. If you are currently dealing with older technology and need to replace it, you may want to consider digital radios as an option. The cost of upgrading is a huge concern for most people. 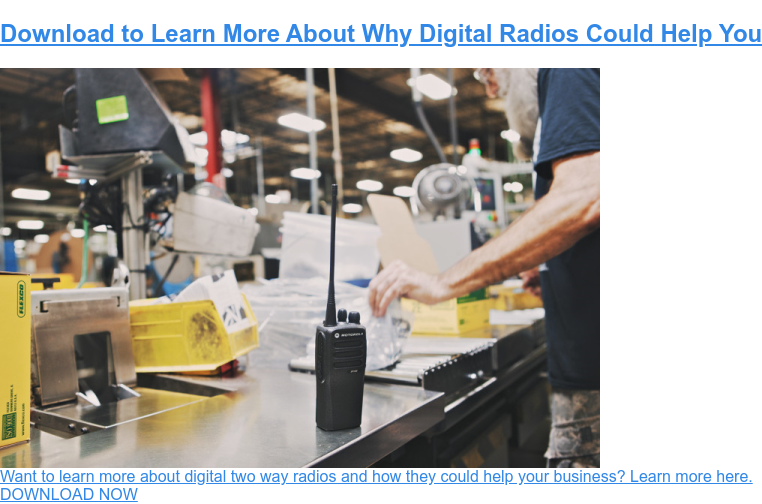 With digital radios costing 15%-20% more than comparable analog radios, the cost involved is definitely a factor. If you decide to upgrade your whole system, the cost can be substantial, so you must decide if the advantages to upgrading are worth the price. If your analog system is doing a good job and you are not experiencing problems, there is really no need to upgrade immediately. One option you may want to consider is upgrading your radios slowly over time. 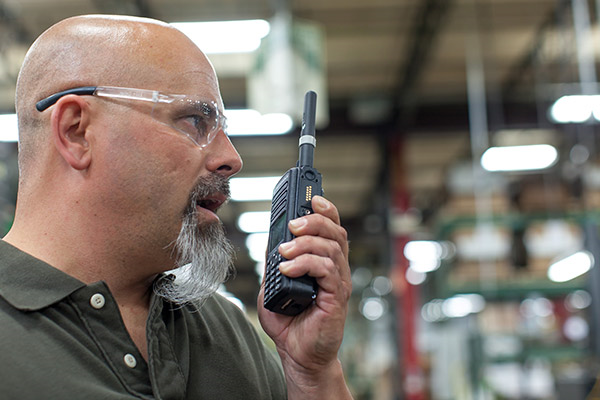 The majority of Motorola MotoTRBO radios can operate on either analog or digital frequencies. With this option you can purchase equipment today that can be used on your system of tomorrow. Two way radios have always been one of the lowest cost, easy-to-use, and reliable communications tools for business and government organizations. The new digital radios have all the “Bells and Whistles” that may help with your operations and safety, but also have kept the same usability features and consistency that radios users have come to appreciate. Each operate differently than the next, so some of the advanced features may be useful, please feel free to contact us to review your requirements in depth. Should I upgrade to digital? There are many benefits of switching to digital two way radios, but that does not mean it is the best choice for your specific situation. Analog radios have worked fine for many years and will continue to do so. As the saying goes, “If it’s not broken, don’t fix it.” We believe the best answer for most organizations is a hybrid between switching your whole system to digital or staying with your analog system. If you need new radios, we would recommend purchasing digital radios that can work in analog and digital mode with your current equipment. Once you have a critical mass of radios, or if you are having major issues with your analog system, it is probably time to make the complete switch to digital. Technology is continuously advancing and changing, but two way radios have always had a reputation of being durable, hard working and cost effective. Nova Communications prides ourselves on helping our customers find the right radios, for the right situation, for a reasonable cost. Please try our FREE Online Radio selector to see what radio is right for your business.